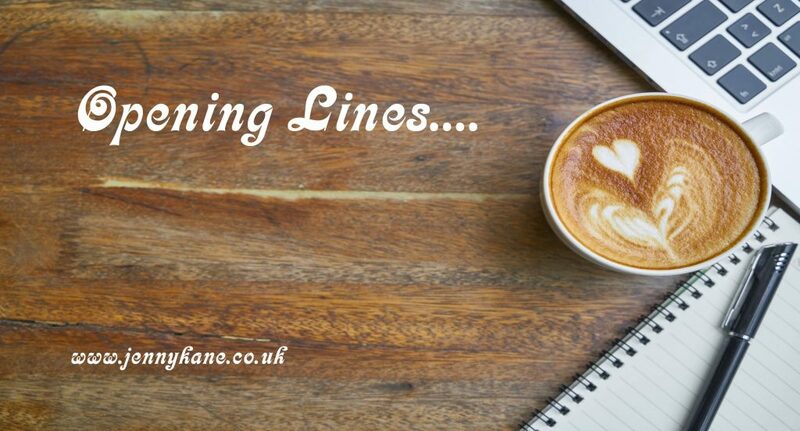 Another week has flown by, and it’s ‘Opening Lines’ time once more! This week I’m delighted to welcome Karen Ankers to my blog. Why not grab a cuppa, put your feet up for five minutes while you join our chat and enjoy some fabulous first words. My original inspiration was a book by Brian Weiss, called Only Love Is Real, where he examines the idea of love transcending lifetimes. All my characters have something in them from people I know, or have observed. I do a lot of people watching! The barefoot man in the opening scene of the book was inspired by a young man I found in a similar situation, many years ago. The book is really Laura’s journey towards self-acceptance, so I had to explore her character, rather than do research. It is set in Chester, where I grew up, although I did have to check on some of the details from the sections set in the eighties. I don’t really have a preferred point of view. It depends what works for the story. The Crossing Place is third person, but my current project, The Stone Dancer, is in first person. A bit of both. My first draft is never planned. But once that’s written and I know the basic shape of the story, I will then write a plan to work from, to help with structure. I don’t usually stick to it, though! I write every day, usually in the afternoons. I started my writing career as a poet, and I will usually start by writing a poem, as a way of loosening up the creative muscles. Then I work on the novel. I try and write 1,000 words a day, but I know better than to force it. I’ve usually got other projects on the go – poems, plays and short stories – so if I’m struggling, I will work on one of those. I’m really excited by the reviews it is getting! It’s brilliant to know that other people are enjoying it. What I really enjoyed about the story is Laura’s realization that she is not damaged if she chooses to see life differently from other people. Ok…D.H. Lawrence would be an interesting companion! Jeremy Corbyn would be great company, although I imagine he’d have a few arguments with D.H.L! And Robin Williamson. He could just sing and tell stories to keep everyone calm. I’d like some non-human companions as well, if that’s possible? Lots of dogs and cats! My new novel, The Stone Dancer, will hopefully be out next year, if all goes well. It’s set in North Wales and has echoes of Celtic myths. I didn’t think I would be able to write another novel – the characters in The Crossing Place had such a grip on me I was worried they wouldn’t let go! But they did, and it’s fine. Laura’s breath caught in her throat as her foot slipped at the top of the worn, icy steps. Her hand scraped the rough sandstone wall as she grasped for the metal handrail and missed. She landed sprawled across a heap of clothes that lay across the pavement. Dazed, she lay still, mentally examining her body for damage. Nothing seemed to be broken. When she tried to get to her feet, the pile of clothes moved, and she screamed. As she scrambled away to a safe distance, the face of a man turned slowly towards her. Pale, unshaven, his mouth cracked and blistered. Greasy curls of black hair stuck out from beneath a grubby green and yellow striped hat. Wearing a thin grey coat, he sat like a broken doll on the frozen ground, leaning against the low wall that led to the busy Kale Yard car park. Tired turquoise eyes struggled to focus. Long legs lay limp across the pavement, his bare feet blue and swollen. It was the first Sunday in February and winter was unwilling to loosen its icy grip. People pale and pinched with cold stared at the pavement as they hurried to their various destinations. Carefully wrapped in bright, warm clothes, they walked past the man with no shoes and the fallen woman without a glance. Laura felt her face turning red as she realized they thought he and she were both drunk. She tried to guess his age. A little older than her, perhaps. In his thirties. He tried to stand, wincing with the effort of trying to move cold, cramped limbs. Laura wondered if she ought to help. “It’s ok,” she said hurriedly. “Stay there.” If he fell, she wouldn’t have the strength to hold him. Her side ached where her ribs had bounced along the edge of the steps. A glimmer of colour distracted her as a butterfly landed on the snow-lined wall. Fragile crimson wings with blue circles that looked like eyes. The man stretched out a pale hand towards it. “You’re in the wrong place, mate,” he murmured. A desperate decision made by a young homeless couple has far-reaching consequences. Years later, Laura’s life is disrupted by a series of unsettling dreams. The man who appears to offer her a way of understanding these dreams is charming and plausible, but has a questionable past. When danger comes from an unexpected source, Laura has to deal not only with very real threats in the present, but also doubts and fears from the past. 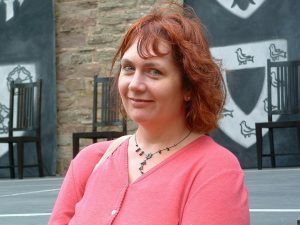 Karen Ankers is a poet, novelist and playwright who lives in Anglesey. Her poetry has appeared in many magazines and anthologies, and her recently published poetry collection, One Word At A Time, was described by poet/performer Laura Taylor as “a collection that shines with honesty and integrity”. Her one-act plays have been performed in the UK, USA, Australia and Malaysia. 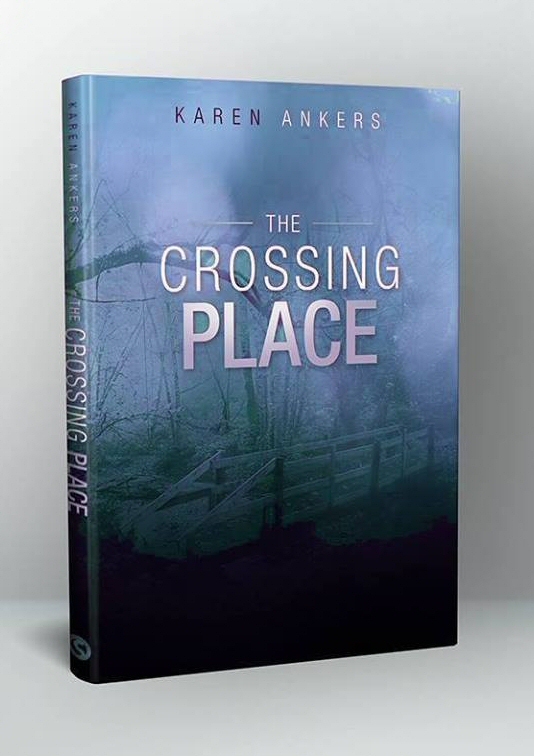 Her debut novel, The Crossing Place was published in January 2018 and is currently receiving excellent reviews, being described as “gripping”, “compelling”, “captivating” and “brilliant”. Many thanks for such a great blog, Karen.